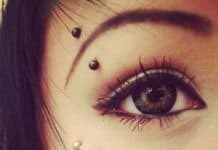 In this modern era, wearing a piercing on ears is just a normal thing, but what is unusual here is the fact that a lot of people wear rook piercing. 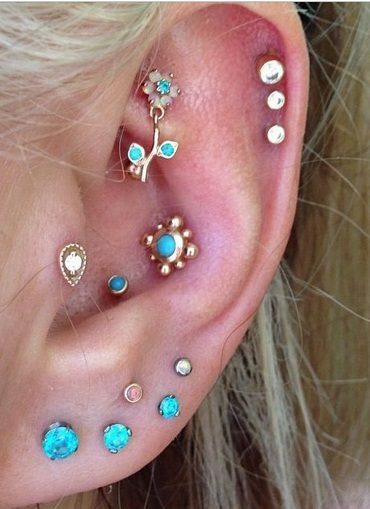 Now the big question is, do you have any idea what this kind of piercing means? 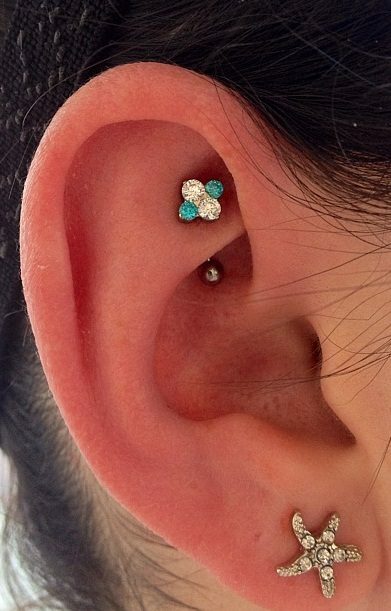 Do you know the exact location of this piercing? 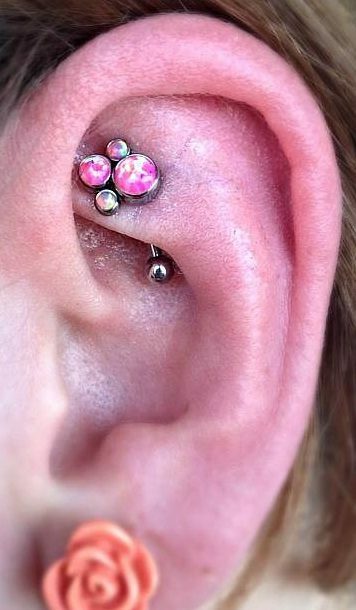 Well the truth is, this kind of piercing can be found on a person’s ears, particularly on the anti-helix part. 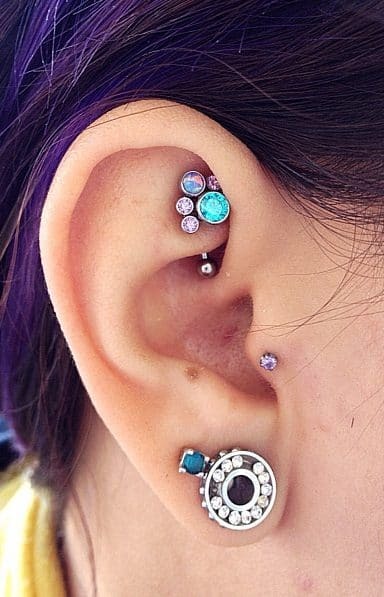 Above your tragus, that is exactly where this ear piercing is positioned. You need a jewelry that has two heads for this piercing since its essence and beauty can be fully achieved if the two heads of the jewelry used are displayed visibly. How Much Does This Piercing Cost? 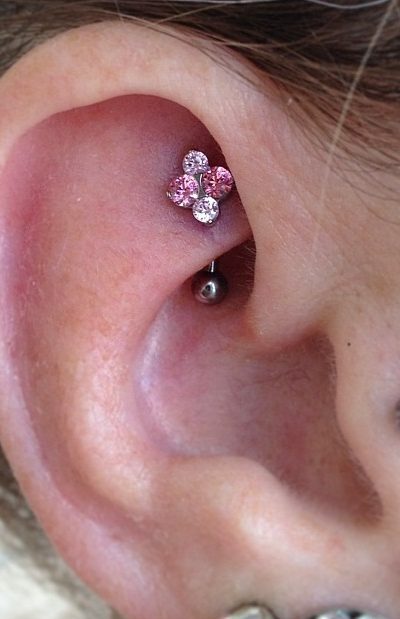 Of course, you can never have a this piercing without undergoing the piercing procedure it has. 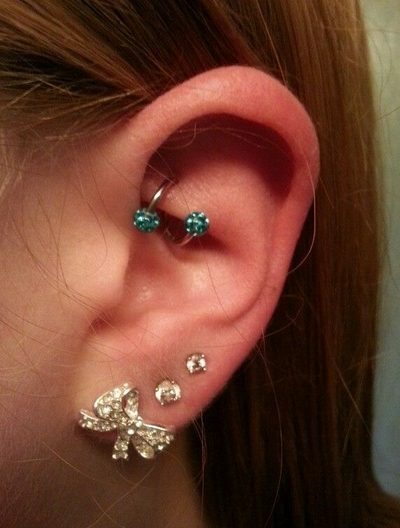 Its own procedure is actually almost similar to the other procedures done for the other piercings on the body. The only difference is that it may be a complex process since the area where the pierced should be placed is a bit hard due to the thick cartilage present on it. This is the reason why hiring a well-experienced, professional piercer is very essential. Proper sanitation must be observed during the procedure. The very first thing that must be done by the professional piercer is clean the entire area where the piercing is wished to be done. All the apparatuses that will be used should also be new and well-cleaned. In this way, getting some communicable diseases is never a problem. 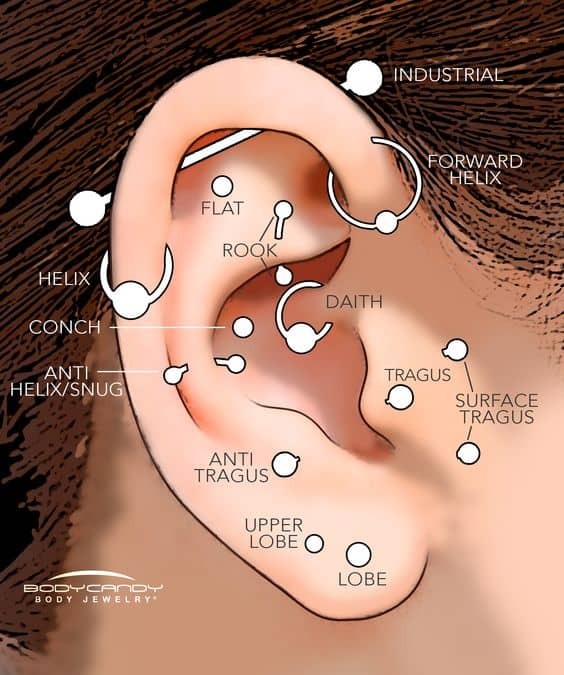 Getting pierced on the antihelix area is undeniably difficult. It takes a lot of effort and expertise from the piercer. 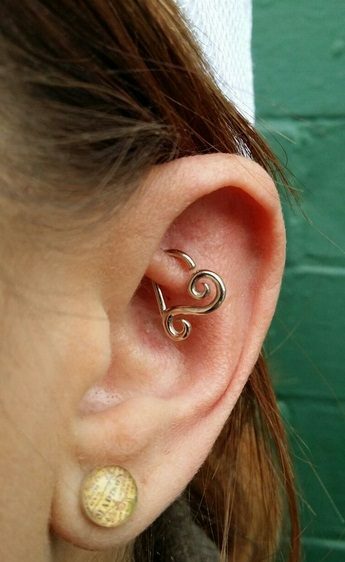 It is simply because this part of the ear has thicker cartilage. If the piercer can’t handle the procedure properly with his or her bare hands, there are important apparatuses that can be used such as the piercing clamp. When making a hole on this part, gentle hands are needed so that the other parts of the ears will not be compromised. When the piercer is done making a hole, the jewelry will then be inserted. The best jewelry to use is a barbell. 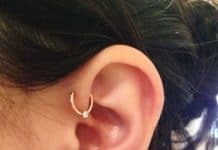 It is normal for a piercing procedure to cause some pain to the person who undergoes it, and the rook piercing procedure is not an exemption here. The pain that can be felt here is actually a case to case basis. 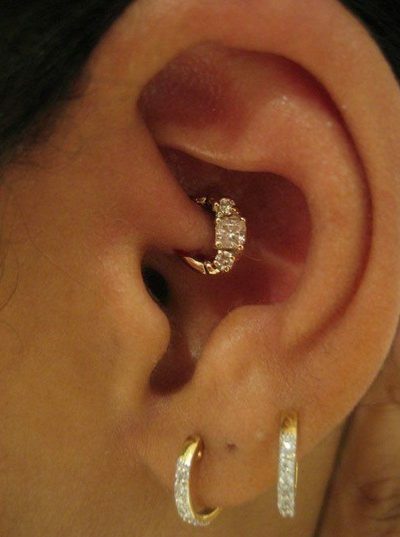 Meaning to say, it depends on the person who undergoes the piercing procedure. It is simply because pain tolerance varies from one person to another. Since the antihelix part of the ears is made of cartilage, then the piercing needle would certainly need to pass through the cartilage tissues, and there is no way you cannot feel pain on that thing, unless you are a superman or superwoman. Hence, what you need to do is to prepare yourself mentally, and expect that pain would always be there. 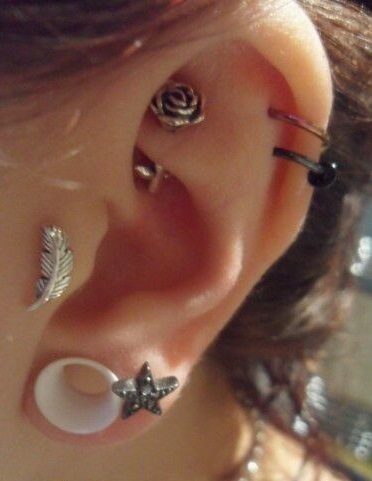 But if you are really determined to have a rook piercing, then enduring the pain will never matter for you. 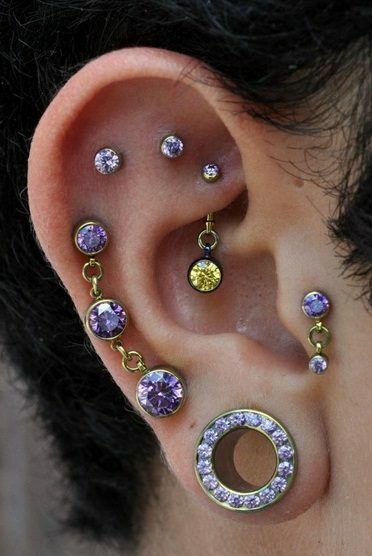 It takes 12 to 18 months for the piercing to heal completely. Just like any other piercing kinds that can be found on the body, this may take some time to completely heal the wound and bruises inside and at the outside. Because of this, you need to have a considerable amount of patience with you, so that you will not get bored of waiting. There may come a time that you think that the wound is already healed completely, but don’t be so sure about it. 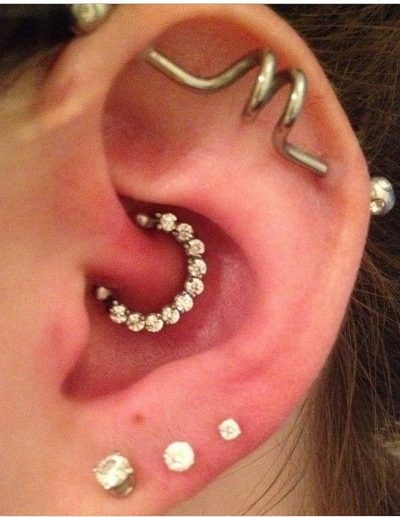 Keep in mind that this kind of piercing requires 12 up to 18 months for its full recovery. Don’t touch the piercing and the pierced area if it is not necessary. Keep in mind that during the healing process, the pierced area would be very sensitive. In just a single movement of the jewelry, it may already be irritated. Thus, you need to be very careful. Wash your hands well before touching it. Of course, there are times that you need to touch the piercing and do some cleaning. In this case, you have to make sure that your hands are free from any dirt and bacteria. Washing your hands with the use of antibacterial soap can help a lot. When taking a bath, you can take advantage of the time and clean the pierced area. Just make sure to utilize a mild soap, so that irritation won’t happen. Two up to four times per day, you need to clean the pierced area. You can make use of a cotton ball that is soaked in some amount of warm salt water. Pat dry the pierced area. You need to know that the pierced area is very sensitive when it is not yet fully recovered. Hence, extra amount of gentleness is highly needed. When drying out the pierced area after cleaning it, pat drying is advised. Just make sure that the towel or cloth you use is clean enough. The price ranges between $35 and $50 in any professional parlor. Well of course, being a professional piercer is not an easy job since you will be handling different kinds of customers, and there is an involvement of risking the health of every customer through the piercing attached to the body. As for undergoing the procedure, preparing $35 up to $50 is very important since it is on this price range that the entire cost of having this kind of piercing lies. Diamond Hoop – This is a very elegant jewelry that you can put. However, its $1627.5 price may not be that good to hear. 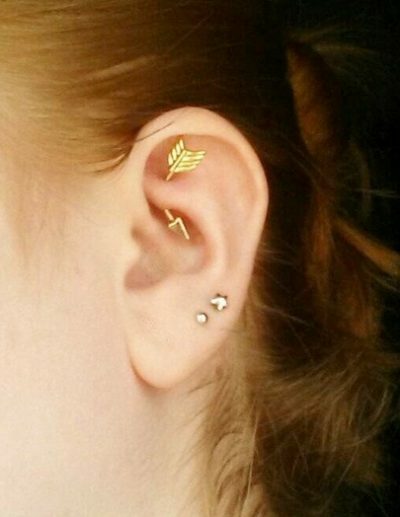 Arrow Piercing – As its name suggests, this jewelry has a design of an arrow that has a curve shape in order to serve its purpose, which is to become a gorgeous rook style piercing. It is priced $14. 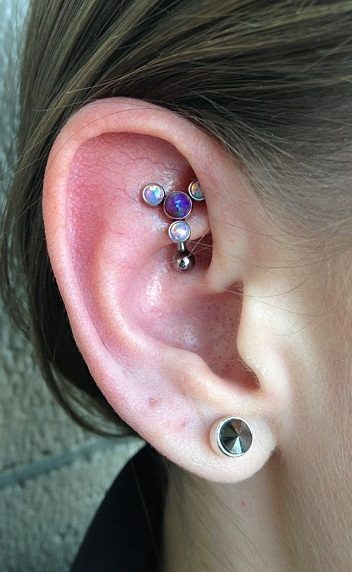 Titanium Rook Barbell – This is a common jewelry option for this kind of piercing, and it is priced $16.95. 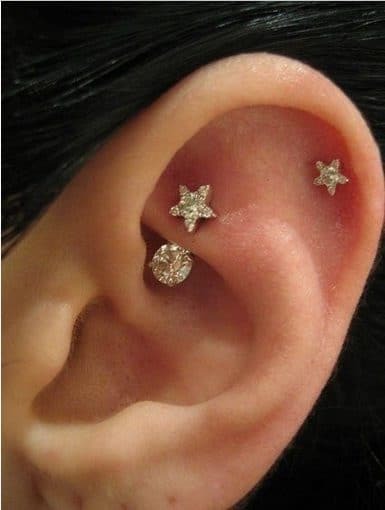 Curved Barbell Star Piercing – This is another elegant jewelry option that you can wear on your ears, and it is priced around $8. 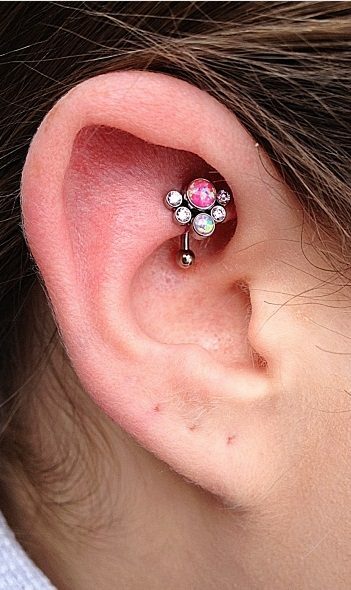 Crystal Barbell – It is a common version of a barbell jewelry for this kind of piercing. You can buy it for only $11. 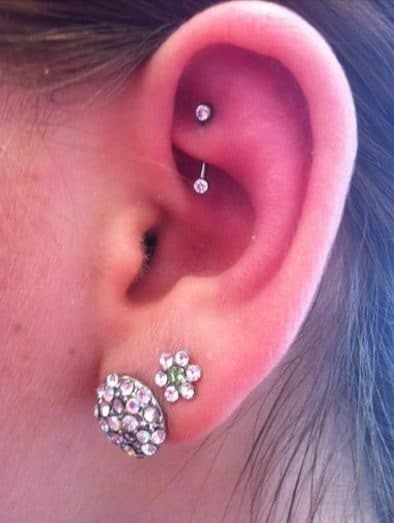 Having a rook piercing is something that you need to think about many times. Before going for it, make sure that you are mentally and financially prepared. 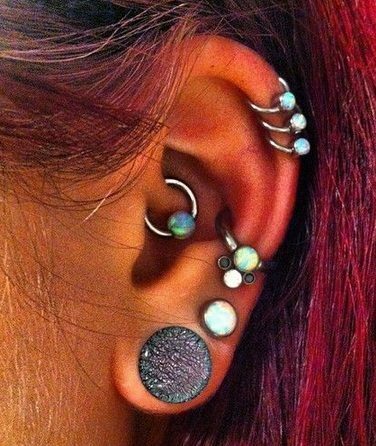 Also check our articles on popular ear piercings types Conch Piercing, Industrial Piercing, Tragus Piercing and Orbital Piercing.